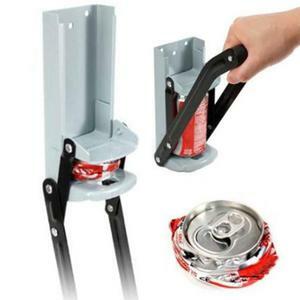 1Pcs Heavy Gauge 12/16oz Can Crusher with Bottle Opener Kitchen Tools Cans flattening Pressure tank High Quality! 4. Strength structure, densely and enhanced gusset, which can ensure the strong of the case. 6. Security identifier and mark, which can ensure the safety of the operation. The machine can make the can become spheroid then can reduce the transportation cost. 2.Strong structure, densely covered reinforced ribbed slab,ensure tank body strong. 4.High capacity, low power consumption, high efficiency, fine grinding discharged evenly. 5.The crusher can be suitable for aluminium can, metal pail, metal can, drink can. 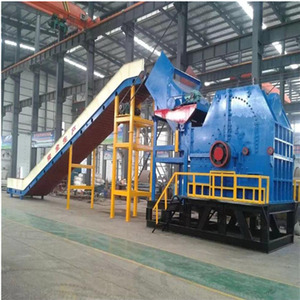 can crusher This Metal can shredder adopts planet gear speed reducer driving; the blade is made of high-strength alloy steel, featured by strong abrasion resistance and high strength etc. The electrical part adopts Siemens electrical elements programming control, with automatic detection and overload protection function, etc. The materials suitable for shredding include: scrap aluminum,aluminum can, aluminum strip, iron sheet, iron can,scrap steel, sheet iron, copper sheet and other scrap metal materials. 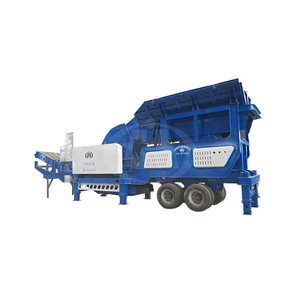 Henan Mind Machinery Equipment Co., Ltd.
tin can crusher/scrap steel crusher manufactory with CE approval Metal crusher is also called metal pulverizer. 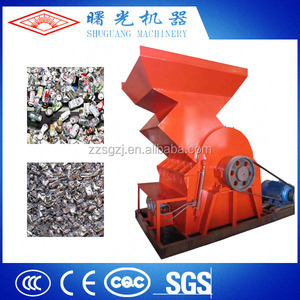 Metal crusher can crush all kinds of waste pop-top cans, drinks can, beer cans, metal bottles, coke cans, paint bucket, waste scrap iron sheet, waste iron slag, mooncake box, waste bike, car shell and other metals to the particle. , Ltd is a professional manufacturer of stone crushers, sand making machines, powder grinding mills and mineral processing equipment in China. Strength structure, densely and enhanced gusset, which can ensure the strong of the case. e. Security identifier and mark, which can ensure the safety of the operation. g. This machine can make the can become spheroid so that the transportation expenses can be greatly reduced. Gongyi Derui Machinery Co., Ltd. The final crushed metal products, are very easy and convenient to transport. To avoid the wall wear and deformation, the cabinet interior are set with protection liners. It needs as long as one person to control the device in entire processing procedure. Yongkang Larbo Houseware Co., Ltd.
Gongyi Hongrun Machinery Equipment Co., Ltd.
Nanning Shayou Machinery Equipment Co., Ltd.
Henan Tongli Machine Manufacturing Co., Ltd.
Zhengzhou Jiangtai Heavy Industrial Machinery Co., Ltd. 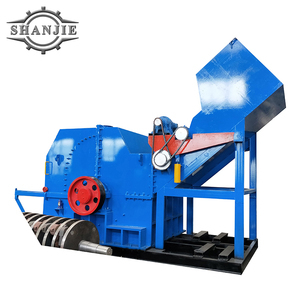 The Heavy Hammer Crusher not only the specifications, and uniform clear, old-fashioned jaw broken machine and plate hammer to break alternative. 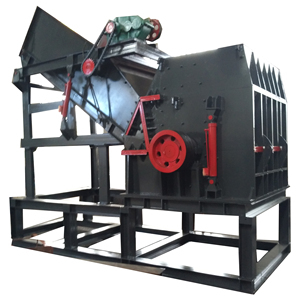 The Heavy Hammer Crusher Features: Compared with the other hammer crusher hammer pin large diameter, heavy hammer to crack down the line speed higher significant feature. Material from the upper to the mouth to feed into the machine, high-speed movement of the hammer blow, impact, shearing, abrasive and grinding. 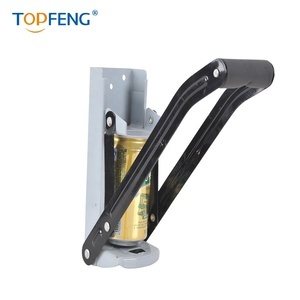 Alibaba.com offers 28,551 can crusher products. About 33% of these are crusher, 18% are plastic crushing machines, and 1% are other household sundries. 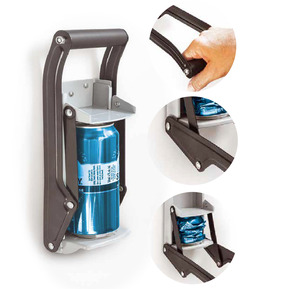 A wide variety of can crusher options are available to you, such as free samples, paid samples. There are 28,509 can crusher suppliers, mainly located in Asia. 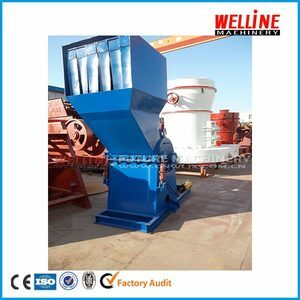 The top supplying countries are China (Mainland), Germany, and Algeria, which supply 99%, 1%, and 1% of can crusher respectively. 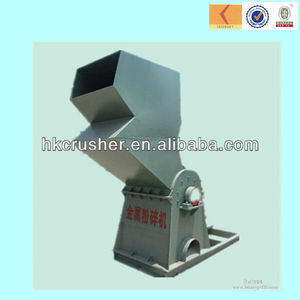 Can crusher products are most popular in Africa, Southeast Asia, and Domestic Market. You can ensure product safety by selecting from certified suppliers, including 15,952 with ISO9001, 5,221 with Other, and 961 with ISO14001 certification.